Could microinsurance be both part of a company project and bring value to its low income customers? This one of the questions Craig Churchill, Head of the ILO’s Microinsurance Innovation Facility, tried to answer by studying the increasing value and viability of this assurance mechanism for people with low incomes. Let’s get back on some key figures of microinsurance in the world, the mechanism that protects low-income people against the risks associated with activity, health, death, or environment. 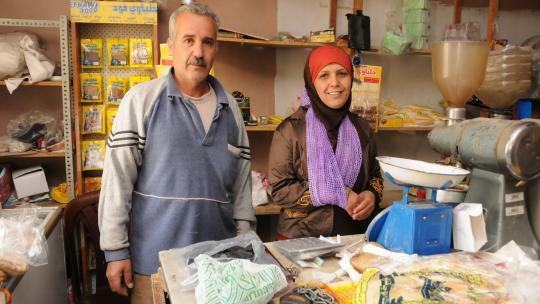 It is estimated that approximately 500 million people have products of microinsurance against 78 million in 2008. In Asia, the number of persons covered by this type of product has increased by 40% between 2010 and 2012; while in Africa it increased by over 200% between 2008 and 2012. Thus, there is an incredible increase of microinsurance in the world and particularly in Africa in recent years. Governments increasingly see microinsurance as an important mechanism to provide not only protection in case of disaster, but also to ensure financial security that would lead directly to reducing world poverty, increasing economic growth and improving access to health care. Some technological innovations have also helped to cover a larger population of microinsurance products in the world, which has played and still plays a key role in the development of this sector. To cite a few examples of innovations in microinsurance, there has been the use of satellite imagery for livestock in Kenya, the establishment of sophisticated back office to process applications in health microinsurance in India or the use of mobile network operators to sell microinsurance products particularly in Africa where there are 600 million mobile phone users. These innovations as well as researches in microinsurance have helped low-income populations to cope with losses and improve their long-term well-being. This allowed for example to farmers in Kenya to deal with drought and in Ghana to push farmers invest in riskier but more productive agriculture because they were covered. Despite these advances, microinsurance still poses many challenges because in many parts of the world, billions of people still do not have access to a basic insurance coverage, some even have never experienced insurance. To get to cover 100 million people more with products of microinsurance, the ILO’s Microinsurance Innovation Facility undertakes for a period of five years a program to promote microinsurance through public-private partnerships and other innovations: "We believe in the power of microinsurance to change peoples’ lives, protect their health and their assets and give them the financial peace of mind to invest for the future. Over the next five years we will ensure that the promise of microinsurance is realized for millions more people around the globe."